REST Industry Super became the first Australian super fund to provide its 1.9 million members with ‘mobile first’ access to personalised financial advice with the launch of the REST Advice Online platform. REST Advice Online is delivered on Midwinter’s next generation Advice Operating System (AdviceOS) and provides REST members with the ability to receive instant financial advice and make immediate changes to their super account from any mobile device. The innovative new platform also provides live webchat and over-the-phone support from qualified advice specialists with REST. Importantly the offering is linked to the REST member’s account to enable secure straight-through processing so members can make changes to their super quickly and easily. The digital advice offering leverages Midwinter’s Digital Advice technology which means that regardless of which method REST members choose to receive advice (phone based, web chat or self-service), it is delivered, recorded and processed from the same integrated advice system. 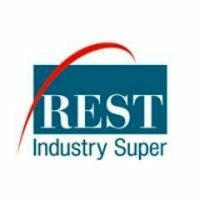 REST Industry Super CEO Damian Hill said that the new digital advice platform offers user friendly and convenient access to financial advice that is personalised to each member’s unique needs. “For many Australians, investing can be a daunting task and superannuation, which is an important long-term investment, is no exception. REST Advice Online allows members to make an informed decision about how they’d like to invest their money and grow their retirement savings with confidence. REST’s new Advice Online service is supported by bespoke technology enabling REST members to explore their options for simple advice related issues and receive an emailed statement of advice after being asked a series of questions and prompts about their circumstances. Managing Director of Midwinter Julian Plummer said there is now a generation of members who don’t necessarily want the first point of advice contact to be a face to face pitch, especially if it is for simple strategies. “Members want to experience the value of advice digitally in a way that is non-threatening and is instantly accessible.